(Tribune and Associated Press file photos) A new poll by The Salt Lake Tribune and Hinckley Institute of Politics shows that voter enthusiasm is being driven by the presidency of Donald Trump, the Senate candidacy of Mitt Romney and a series of propositions on the ball, particularly a proposal to legalize medical marijuana. To err on the safe side on Election Day, Salt Lake County Clerk Sherrie Swensen said her office planned for a 70 percent voter turnout rate — an “unprecedented” level of balloting in a nonpresidential election year. Despite the extra preparations, Swensen said she’s still hiring additional poll workers and support staff in the final weeks before the 2018 midterms. Statewide, voter registrations are up by more than 70,000 people — or 4.5 percent — since January, according to data from the Utah lieutenant governor’s office. That growth hasn’t matched the spike in the 2016 presidential elections — during which registrations ballooned by more than 11 percent between January and November — but it’s considerably higher than the last midterm election, in 2014, when a total of 2,201 voters statewide added their names to the rolls. In Salt Lake County, Swensen said her office is looking at roughly 20,000 new registrations since September, compared with a 5,600 bump in the fall of 2014. “It feels more like a presidential year than a midterm year,” she said. This year’s ballot is atypical, with four ballot questions spawned from initiatives, an open U.S. Senate seat with a high-profile candidate, and a highly competitive congressional race affected by a divisive president. 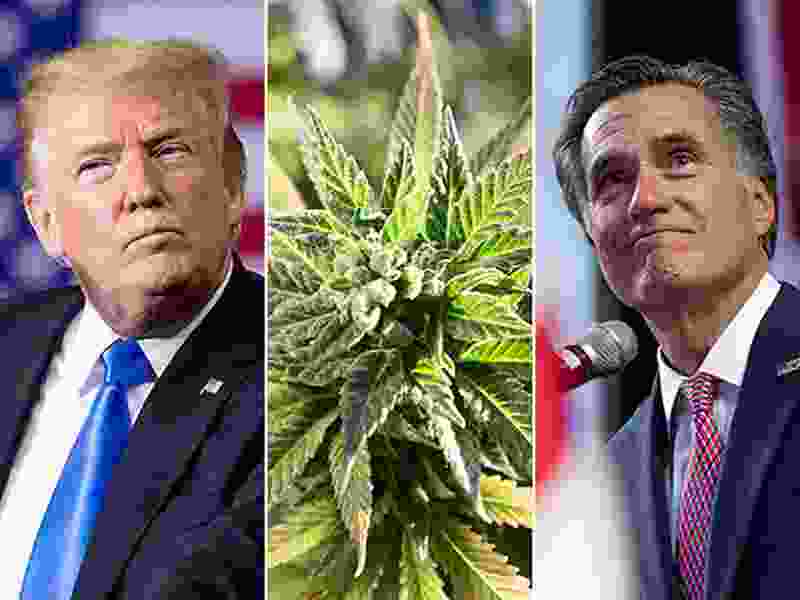 New polling by The Salt Lake Tribune and Hinckley Institute of Politics suggests three primary drivers behind the surge in voter enthusiasm: medical marijuana, Mitt Romney and President Donald Trump. Asked what is motivating them to vote in 2018, 30 percent of survey participants said a ballot proposition, 24 percent said Trump — even though he’s not on the ballot — and 22 percent said a candidate. Among the voters motivated by a candidate, a majority (54 percent) specified Romney, the GOP nominee for U.S. Senate who previously waged two presidential campaigns. Proposition 2 was the clear choice among voters motivated by a ballot proposition, with 69 percent of that group saying they’re voting to weigh in on the proposed legalization of medical marijuana. Hinckley Institute Director Jason Perry said the results show the outsized role of Trump, Romney and marijuana in political discussion this year. But the poll also exhibits how a ballot crowded with candidates and issues means more Utahns have a personal stake in the election outcome, he said. The poll, conducted by the Hinckley Institute between Oct. 3 and 9, included responses from 607 registered Utah voters. It has an overall margin of error of plus or minus 4 percentage points, with higher margins of 8 points and 7 points for the follow-up questions on candidates and propositions, respectively. Salt Lake City resident Shane Woods said he typically votes but is more engaged and motivated this year because of Trump — specifically because of his disapproval of the president. Woods said he has spent time canvassing this year and encouraging those around him to vote. Of the propositions on the ballot, he said he is most passionate about Prop 4, which would create an independent redistricting panel to draw and recommend voting maps for legislative approval. According to the poll results, women were most likely (32 percent) to indicate a ballot proposition as their voting motivation, with three-fourths of that group driven by the debate over Prop 2 and medical marijuana. Men gave a tied response (28 percent) to Trump and ballot propositions as motivators, with Prop 2 again being the top response (60 percent) of that subgroup. Among the respondents who said they were motivated by a candidate, 51 percent of men and 59 percent of women indicated they are voting because of Romney’s candidacy. The poll questions did not ask whether participants were motivated to vote for or against their ballot issue or candidate. But Perry said the responses align with additional Tribune-Hinckley polling that shows Romney to be popular in the state, while Trump and medical marijuana are divisive topics. The question about voter motivations is interesting, Perry said, because many elections will be determined by the type and quantity of voters who cast their ballot.